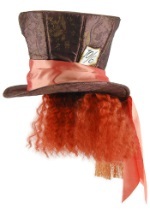 Complete your Alice in Wonderland costume with this adult Mad Hatter hat! 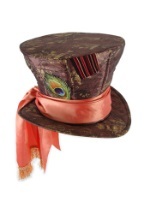 This Wonderland top hat is made of a brown suede-like material with brown and gold paisley accents. 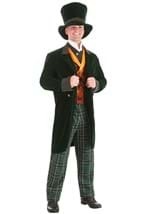 The hat is approximately 8 1/2" tall with an approximately 23" crown. 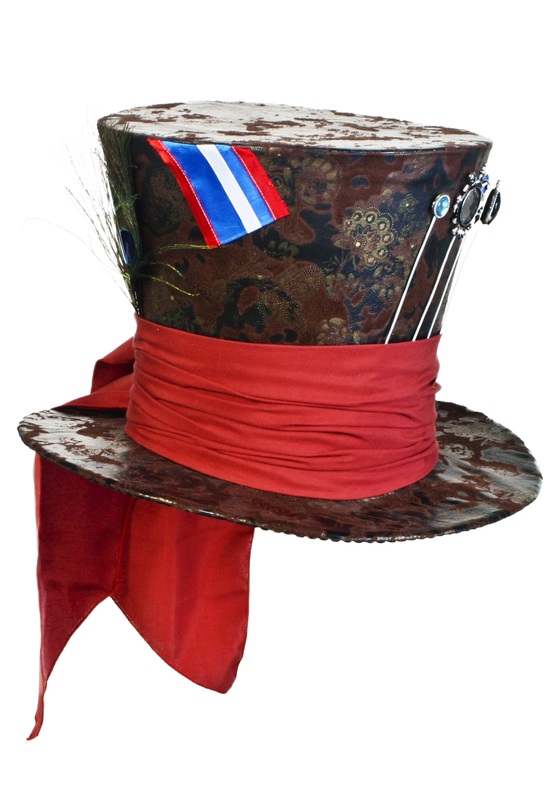 A red scarf wraps around the crown and a green peacock feather sticks up. 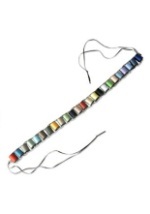 A red, white, and blue striped patch and four decorative pens with jewels adorn the hat as well. 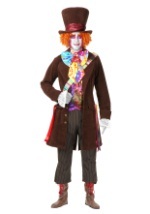 Don't have a Mad Hatter costume yet? 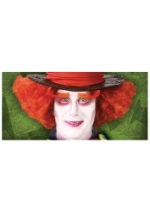 Then check out our crazy collection of Mad Hatter character costumes!